​​​Make Music A Part Of Your Life! An award-winning violinist, Ishtar Hernandez has studied with professors from top music schools around the world including (but not limited to) the Royal Academy of Music, Juilliard, and Moscow Conservatory. Mr. Hernandez earned his Bachelor of Music degree from Stetson University in Florida with an emphasis in Violin Performance. 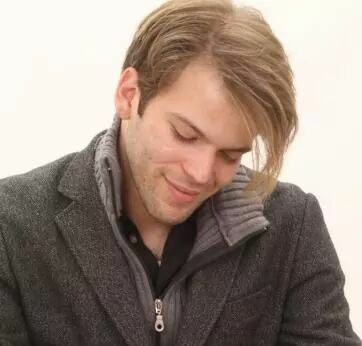 He underwent his Master’s studies in Violin Performance at Western Michigan University where he was a winner of the 2012 University Concerto Competition, performing Sibelius' Violin Concerto in D Minor. He has performed in concert with such venerated artists as Paquito D’Rivera, Nestor Torres, and Yo-Yo Ma, among others, and his credentials include multiple tours in Austria, Germany, Italy, and the U.K. In addition to his classical studies and endeavors, Hernandez has toured Michigan as part of Who Hit John?, a five-piece string band specializing in bluegrass, jazz, and Old-time string band music. Their latest record, "Whistle on the Rail" was released in April of 2013 to positive reviews and was nominated for a WYCE "Jammie" award for "Americana Album of the Year".